Eylure Dylash is an eyelash and brow dye kit which is perfect for adding some colour to fair lashes, preventing the need for mascara to make you look like you have any lashes at all. I've been using Dylash for months now and am still on my first set. It claims to last for up to 12 applications but I predict that this will last for much more, maybe even 24. Dylash is really easy to use, quite fuss free and results last for a good few weeks. 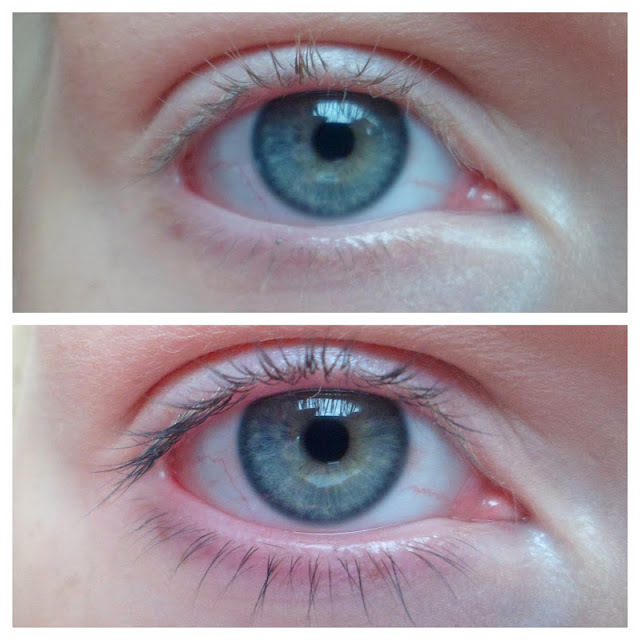 I thought I'd share how I do it with pictures to show that you don't need to spend £7 on one eyelash tint at a salon and can do it in the comfort of your own home. A skin test should be completed 48hours before dying lashes to ensure you do not have a reaction to the dye. Remove any eye makeup with an oil free makeup remover. Using a cotton bud put vaseline around your eye, both on the lid and underneath the lash line being careful not to get any on the eyelashes as this prevents the dye from working. The vaseline acts as a base to protect your skin from any staining so the more the better, if not you may end up with purple skin. Squeeze 2cm of cream colour into the plastic dish provided. I find this amount of cream provides enough for full dying of both eyes, and sometimes leaves enough to repeat the process on both eyes to ensure all lashes are dark. Add five drops of activating solution into the dish. These come out quick so be careful or else you'll have far too much and the mixture will be far too runny. Using the mixer provided, mix the solution and cream together. You're aiming for a creamy consistency that doesn't drip as you want the mixture to stick to your lashes not drip from the wand. Use the mixer to pick up the mixture and place it onto the wand. The wand needs quite a lot to cover the lashes, but too much and you risk making a mess. Using the wand, carefully apply the dye to the lashes. Take time to ensure that all lashes are covered. As you can see my lashes are clumped together but the dye still covers them as there is quite a lot of dye on them. You can also see the mess I've made below my bottom lashes but this all wipes away with water because it's on the vaseline. This gets left for 5-10minutes. I recommend 10 for full effect. In my experience this is the only stage that might sting slightly. After the 10minutes soak a cotton pad with water and wipe the dye away. This will take a few rubs to ensure all the dye is removed. I find when the water gets in my eye is stings but Eylure suggest a 'waterbath' for your eyes to stop the stinging - i.e. using more water. I find patting a dry towel onto my eye a much better way of stopping sore eyes. What do you think of the finished result? Obviously it doesn't look like I'm wearing mascara as it doesn't add any length or volume but at least now I don't HAVE to wear mascara to actually look like I've got lashes. 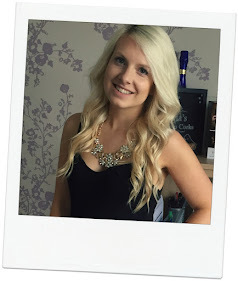 Have you ever had your lashes tinted in a salon? Would you try this method at home? What about when you wash you face or if you use makeup wipes when wearing mascara from time to time, does this significantly change the results? :) by the way I love this idea I bet it gives your eyes a rest from using mascara every day!